This summer, change the lives of motivated, high-potential students from underserved schools: help them build a supportive community together and develop the social skills they will needs as they begin their path to advanced mathematics. 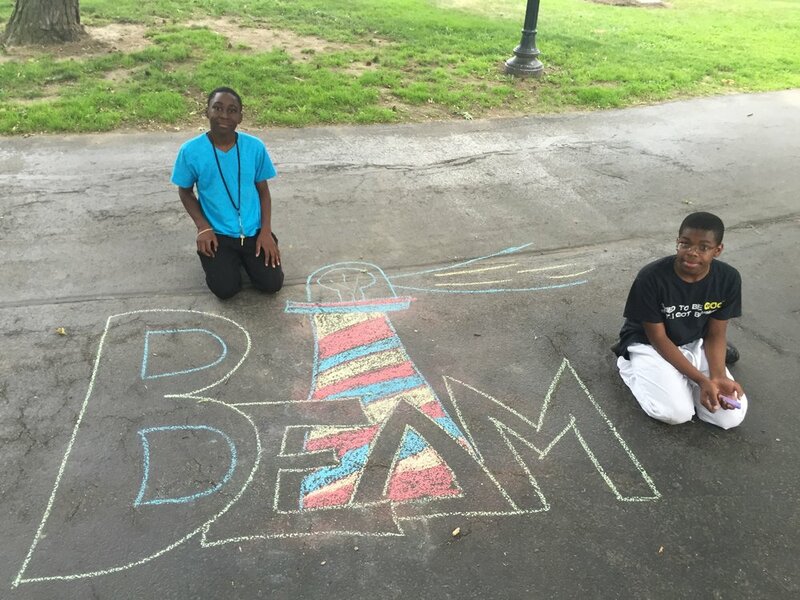 This page contains information about working at BEAM Summer Away, our residential program in Upstate New York and Southern California. We also hire for a Social Worker at BEAM Discovery, our non-residential program in New York City and Los Angeles. Bridge to Enter Advanced Mathematics (BEAM) is a free, high-impact program for students from low-income and marginalized communities, who have demonstrated potential in mathematics. Our goal is to give our students access to the same resources for advanced study as their more affluent peers by helping them get into top high schools, summer programs, enrichment programs, and other opportunities for success. For most of our students, programs like this would otherwise be completely out of reach. 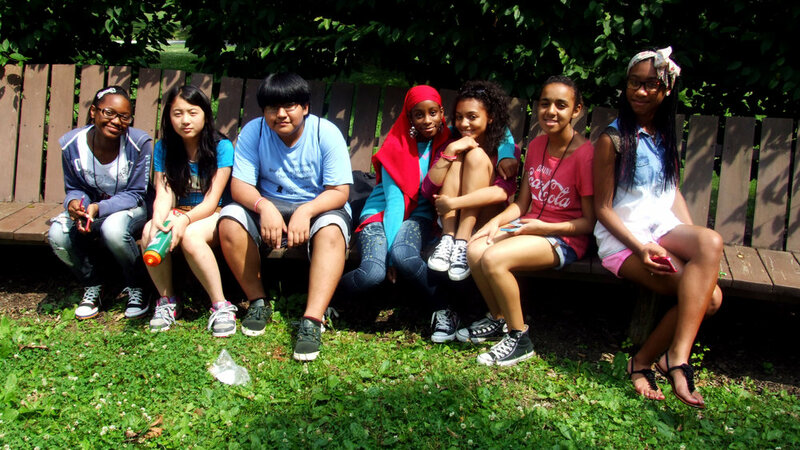 BEAM Summer Away (formerly BEAM 7) is a three-week residential summer program for rising 8th graders, the required first step of our nine-year support program. We aim to create a life-changing experience for all the students that attend. We expose them to mathematics that they have never dreamed of before. They join a community of peers, perhaps for the first time, all interested in mathematics, and we supplement that social environment with activities, field trips, and more. The summer atmosphere is vibrant and engaging for everyone who is there. Many staff return from year to year because they enjoy it, and the students always wish they could come back again and again. We are informal and seek to build as many friendships as possible: students and staff are on a first-name basis, and we encourage interactions during meals, in activity periods, and throughout the non-academic times. After the summer, we support our students through college graduation, providing them with the resources and enrichment opportunities needed to successfully pursue careers in math, science and engineering. You can see more about the program's details by exploring the links above. As far as we know, nothing quite like this exists elsewhere. Our experience has been that the program really changes lives and serves as a model for outreach across the country, while expanding the talent pool for mathematics and related fields. BEAM Summer Away will have three locations in the summer of 2019: one at Bard College, one at Union College, and one at Harvey Mudd College. Our students are bright and motivated, but they have had very few opportunities (if any) to explore serious mathematics. We are highly selective and the students are excited to be here; they usually take the opportunity very seriously. On a social level, students are often living away from home for the first time. They are adjusting to their new environment and learning important lessons about independence and community membership. While they may be discovering serious, advanced math for the first time, the students are also discovering a new world by living on a college campus and the many other experiences they get during the summer. They have the time of their lives: they stay in touch for years after the summer, and the program becomes a kind of family to them (their words, not ours). BEAM has a strong focus on community-building and on choice for the students. In general, students grow and build self-reliance, but some students are not used to the relative lack of structure. Supporting students as they find their way through this transition will be a major part of your role. In the end, you will be amazed at how much students change both mathematically and through their personal growth during the summer. The Site Director, a member of BEAM's year-round staff, who oversees the site and manages the day-to-day. The Director of Student Life, who manages the counselor team and coordinates all of the non-academic aspects of the program from activities to discipline. A counselor team of seven college students. The counselors are the backbone of the summer: they live in the dorms with students and run hall meetings, are teaching assistants in classes, run activities, and assist with some of the program's administrative functions. Seven or eight faculty members who teach classes and also run some activities. A social worker (you!) to provide social and emotional support. You will be with students during most non-academic times, living in the dorm, running activities, and using evening free time to talk to any students who may need your support. A nurse to manage any needed medical care. For students, the day includes seven hours of math (divided into six hours of highly-interactive classes and one hour of independent study in the evening), two hours of activities, meals, and evening free time. Weekends include field trips (a hike, a water park, a field day on-campus, and a trip to Six Flags) as well as time to relax and hang out. The social worker is on the program’s leadership team, helping our staff create a supportive social environment at the program. You will report directly to the Site Director. Spending time with students to build relationships with them, among them, and also among the students and staff. Providing counseling and support for students, especially helping those students who are having difficulty adjusting to the program or who may simply need someone they trust to talk to. Providing guidance to other staff as they work to address and support mental health and other student needs. Supporting staff to provide emotional support to students. Communicating with families about student progress. Running one to two activities each day. Running a hall meeting every other day. Supervising assigning students to daily activities. In general, we want our staff to be informal mentors for the students. You will get to know the students well, and you will form close bonds with many of them. They are a wonderful group of kids, eager to learn, often without the opportunity to do so at this level, and we think you will be as excited as we are to guide them on this journey. As a residential summer program, this position is much more than a 9-5 job; we ask a lot of our staff. The result is a remarkable professional community and a program where all students feel comfortable and have a personal connection with us. The program runs for three weeks, from Sunday to Sunday. Staff are expected to arrive a few days early and leave a few days late. Before the camp we will be dealing with the logistics of camp setup, while after the camp we will be evaluating the outcomes and cleaning up. We run three sites, all on college campuses: one in Southern California and two in upstate New York. You will live in college dorms with the students and residential counselors. Our program in Southern California will be on the campus of Harvey Mudd College, with students on campus June 23-July 14 and full staff commitment June 20-July 17. Our programs in New York run on the campuses of Bard College and Union College, with students on campus July 7-28 and full staff commitment July 4-31. The salary for the first year is $4,500 plus room, board, and travel to/from our campus. If you return for future years, you will receive an increased salary based on the number of summers in the same position. We hope that you will see the program as we do: a labor of love that reaches the students most in need, and a program with the potential to have a transformative effect on achievement in mathematics and related fields. The social worker position is open in 2019 at all three sites. As housing, food, and transportation are provided, we are conducting a nationwide search. Experience supervising kids, especially in middle school. Good communication skills, including in-person, by phone, and by e-mail. An MSW (or comparable degree), with a valid license. Fluency in Spanish, Mandarin, Arabic, or other languages commonly spoken by our students' families. An interest or background in math. We encourage applicants to take a risk on the application and see what happens. BEAM loves welcoming new people into our family. Please send a cover letter and resume to info@beammath.org. We will reply back and successful applicants will proceed to an interview. If you are wondering if you are a good fit for the program, please contact us at info@beammath.org to discuss your background. We aim to provide strong role models for our students, and that means finding a staff that shares the background of our students as much as possible. Thus, we especially encourage applicants who come from underrepresented minority groups, applicants who have faced financial hardship while pursuing their education, and/or applicants who have experience in the New York City or Los Angeles school system. We are an equal opportunity employer, and so persons of color, women, and those with disabilities are all encouraged to apply. Showing a diversity in mathematical achievement is critical to our program's success. Applications will be accepted on a rolling basis. Successful applicants will proceed to an interview. If you are unsure of your summer plans, we encourage you to apply early and then work out the details with us afterwards. If you need a quick decision from us, apply and let us know of your constraints. We are always available to answer any questions you might have, so please feel free to get in touch. We look forward to working with you this summer!